The VDV Academy "Virtual Hands-On" courses cover the basics of fiber optics in simple, step-by-step processes. These are the same processes we teach in our classes and use in our self-study programs (see below), and they have proven to be most effective for our students. This course is on testing fiber optic cables using insertion loss techniques with a power meter and source. Our other Virtual Hands-On courses cover fiber optic termination and the installation of Cat 3 and Cat 5 wiring. 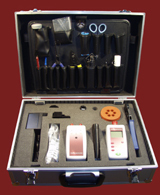 Our thanks to Advanced Fiber Solutions , manufacturers of fiber optic test equipment and test kits, for the loan of the test equipment used in this course. 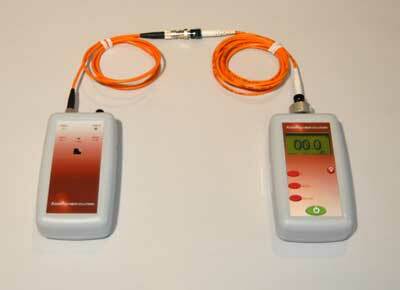 GOAL: Learn to test fiber optic cables using power meters and test sources per international standards. FOTP-171: Testing patchcords (cables with connectors on both ends) with what is usually called the "single-ended method"
OFSTP-14: Testing installed cable plants end-to-end with the "double-ended" method. 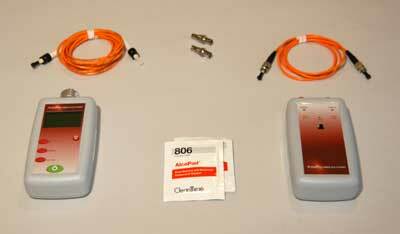 This is the method used to specify the loss of the cable plant for all fiber optic networks. 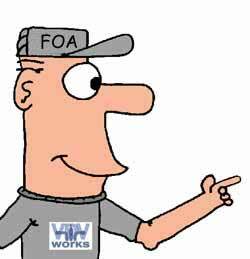 We will show you the tools, test procedures and tricks to make testing fast, easy and accurate. OUTCOME:You will learn test techniques accepted throughout the world, understand how to make measurements more accurately, and learn some tricks that can make testing easier and faster.